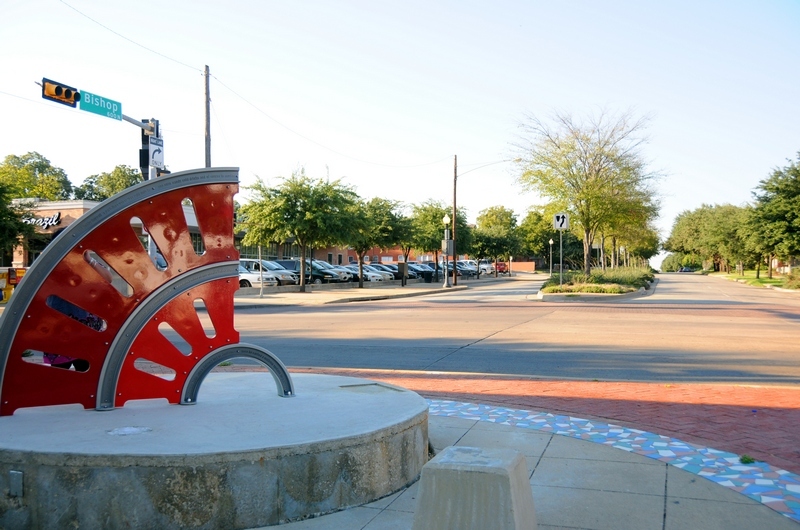 There are a handful of exciting public space projects on the horizon in North Oak Cliff that will soon dot a stretch of Seventh street, creating an inviting pedestrian/bicycle experience that connects neighborhoods to destination points along the corridor with three planned plazas. A Bishop Arts Gateway that will act as the soon to arrive streetcar stop on the East side, Rosemont Plaza which will act as a resident oriented plaza on the West side, and a centralized public square in the center at Tyler street that addresses an extremely dangerous 5-point intersection. This corridor was the former streetcar line which ran parallel to Davis street and created a natural pathway from the neighborhoods to the commercial corridors along Seventh street. 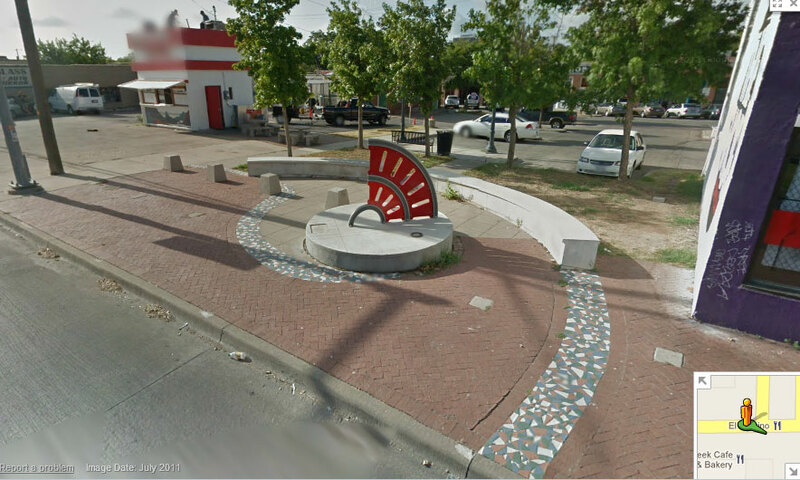 Amenities: Concrete semi-circle bench, abstract art, trash can, 1 park bench facing South parking lot. Four small concrete bollards do exist in the pocket park but break up the space at the half way point (near the 20′ mark) as opposed to lining the curb making more usable space. Other elements to note are that the eastern edge has no shade which makes the park basically uninviting during half of the year from 8AM to 4PM. If the goal is to have people sit outside, we must at least provide protection from the sun. Ironically, trees do line the South edge, which give little to no shade for the concrete bench and actually obscure the view to the District itself. At night, there is no pedestrian oriented lighting, making the space feel uninviting and potentially dangerous. This area was obviously planned for pedestrians, has little invitation for other modes of transit (bicycles, public transit), and offers no real gateway connection to the District unless an individual plans on walking along Bishop and entering a parking lot before arriving at the destination. We also want to look at the potential for businesses along the edge to easily gain access to the public space and benefit from its presence (thus providing an incentive to maintain). In this instance, a small concrete semi-circle bench/buffer cuts off much of the usable space available for the building to the West, while the small food stand to the South and East is also blocked off. One thing to note: A single bike rack would help create an inviting presence for cyclists into the district and show-off the area as a bike friendly block to people driving along Davis. Lastly, we want the space to encourage people to linger and invite friends out to use. We’ve already addressed the lack of shade, but beyond that the only compelling reason to visit this pocket park is the abstract sculpture. You have to ask a couple of questions when encouraging stay power: Who are you attempting to invite? Is the space inviting to 8/80 year olds (if you focus on these bookends, everyone else will feel welcome)? What is there to do once you arrive? And, what compels you to return? Now, from the start, I’m not a huge fan of using abstract art in gateways. It requires interpretation which children will immediately disregard, and is better appreciated on art museum grounds or design districts (places that focus on adult art appreciation). 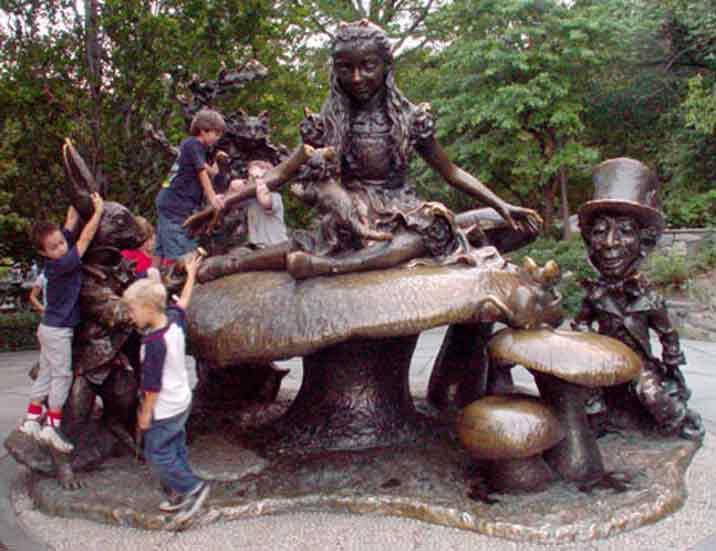 Notice the non-interpretive Alice in Wonderland statue in Central Park, New York. 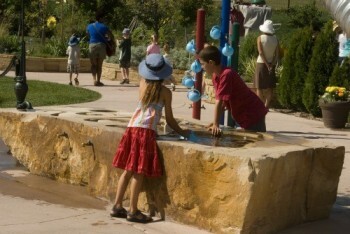 Children love it, it creates an inviting presence, and it ends up being a destination for families. It accomplishes art, invitation, and destination in one fell swoop. It’s also surrounded by shade and benches. In the Bishop Arts pocket park, once you’ve seen the statue, nothing compels you to return. There’s nothing new to read, no information on what exists in the District, and no amenities (outside of a concrete bench). If the audience for the existing statue is more for passers-by, then place it in a traffic circle in the middle of Seventh and Bishop. That way, it’s got greater visibility, helps slow traffic, and isn’t something something someone needs to walk directly in front of. 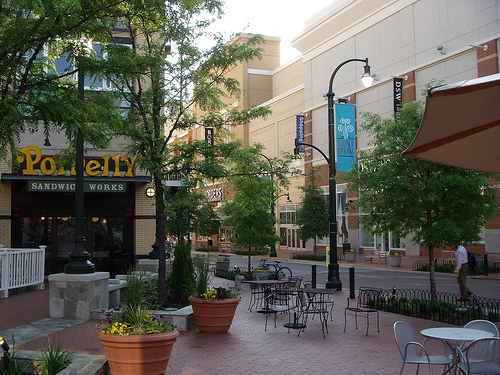 One of the most common uses for public spaces is a place to eat or read. Something immediately lacking in the Bishop Arts pocket park are tables. There’s no where to set your plate, newspaper, or game board. Again, it’s not difficult to create a public space that people will use, we just seem to create them all of the time. I think that much of the reason is due to the fact that we focus on making these areas engaging to auto users who are passing by the area, and not truly adapting the space for pedestrian comfort and function. This provides a respite from the heat and a place that has a function which you could easily return to. The key to creating well loved and inviting public spaces is to think about the end-user and what you want to accomplish in the space. It’s really not that difficult, imagine it’s your backyard. How would you address guests? Now extrapolate that example to public spaces. How would you make a public gathering place? How could it enhance surrounding businesses? How could it invite families? Pet owners? Grandparents? 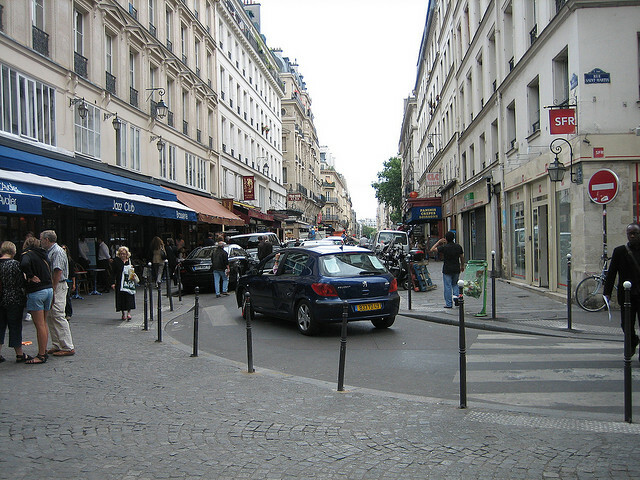 How would you make it feel safe from cars? at night? How would you encourage bicycling to and through the space? What amenities would invite people to sit and eat? How would you protect users from direct sunlight? How would you invite the public to setup weekend activities like markets? outdoor music? dancing? What partners in the area would be most compelled to assist with ownership (HOA’s, non-profits, private businesses)? How would you keep maintenance and administration costs to a minimum? So what are some easy fixes for the Bishop Arts pocket park? You could place something as simple as four large empty planters along the North edge, a community bulletin board in the center, a teeter totter under the south shade trees, plant a single shade tree directly to the side and East of the sculpture, re-orient existing park bench to face the teeter-totter, 1 bike rack, 1 pedestrian light, 1 trash can (existing), and movable tables and chairs (the assumption often made is that these will get stolen…what has been shown in reality is that this very rarely happens). Ideally you’d eventually remove the concrete sitting wall to open the space up and engage the buildings directly beside the park. Later you could add a water fountain for dogs. Create the feeling of a safe and inviting enclosure that has stronger visible connections to the district. From there, increment change and test ideas to see what works and what doesn’t work. Find a way to allow food into the area (either via food trucks or existing area restaurants). Keep adapting the space as it will always need to change with the times. Remember, a great city can be measured by the number and quality of its public spaces. Yes, but WHO is going to do all this? Year after year, who will erase the graffiti from the bike rack? Who will empty the trashcan and scrape the smeared burrito off the top? Who will touch-up the paint? Who will fix the irrigation system that waters the shade trees (three have whithered at Bishop/Davis since 2000)? Who picks up the umbrella when it blows over? Who plucks the weeds from the cracks in the pavement? Obviously, poor design can kill any public space, but lack of upkeep can kill even the best design. There is no such thing as “inviting and engaging public space that requires little maintenance and administration.” In our climate, in our cultural setting, a compact public space, such as those pictured above, requires regular attention. The impediment isn’t lack of imagination or idealism; the impediment is the absence of a reliable janitor. With many current public spaces in the US I can only conclude that the designer actively despised any human not in encased in a motorized vehicle. Terrible, uninteresting design, but even worse execution in the construction has left everyone (including city staff) baffled to its existence and purpose. Yet, money continues to be poured into it. You have to create a compelling reason for surrounding businesses, non-profits, or residents to want to maintain. I didn’t say NO administration (your inference). Who will pick up the umbrella? The business that is allowed to access the space. The taco shop that attempted to place tables and chairs in this pocket park was told to remove them by the city. At that point, the owner had no reason to maintain. It wasn’t a net positive for his business. With that being said, it’s not difficult to work with surrounding entities to administer quality public space. In all three of the new North OC plazas, maintenance and administration partners have stepped forward to help manage the spaces. Identify partners that benefit from the space. Look at the Dallas Off-Road Bicycle Association as a perfect model. The city of Dallas has few funds to maintain the park’s dirt trails, but DORBA has a compelling reason to manage upkeep so they handle this for free. Who will remove the graffiti from the bike rack? 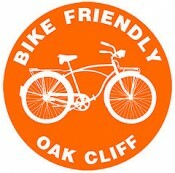 Who has a compelling reason to maintain bike infrastructure in Oak Cliff? I can think of one rather notable non-profit whose website you happen to be on now. You have to design it well, and have a dialog with partners early on. It can’t just be built and walked away from. 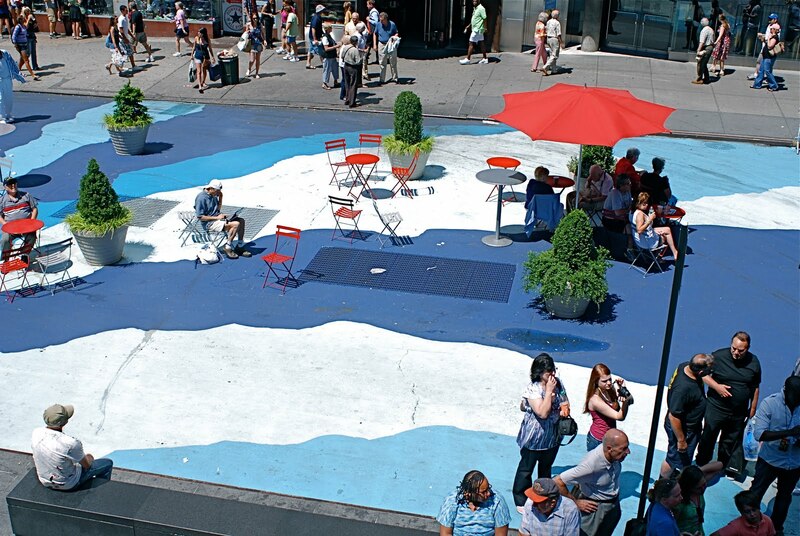 How do you create a public space that becomes managed? Design it to where it improves business. This hasn’t even been attempted with the Bishop Arts Pocket Park. Otherwise, you might as well create an elaborately planted median that no one can engage (other than passing cars). At that point, who has a desire to maintain? Jason, great assessment of a lackluster place. Design is certainly the first aspect to consider when creating a project like this, and obviously there was little consideration other than “that could go there.” David brings about a great point the management that follows. This in addition to the design is key why so many projects are failing around the country. The Bishop Arts District could have its own central management of things like this. Typically, successful Business Improvement Districts have something on the books like that. Now granted that involves a set district whereby the businesses are paying into that. Should this already be included in one’s regular taxes? Yes, but it isn’t working the way it should (another problem for another post). Heck, I’d make a graffiti bike rack competition. There is some pent up artistic ability, let them do something positive with it. Plain Jane bike racks are a thing of the past as it is. I’m pretty sure the ones behind creating the code enforcement apps myFtWorth and others were a graffiti clean up company. So, I think there is a lot of connecting of the dots and unique partnerships to strike up. Keep up the good work down there! Spot on. I wondered why it always felt so bizarre. It’s so at odds with the surrounding buildings and the overall ‘feeling’ of Bishop Arts. Level it. Implement the suggestions above. Maybe local restaurateurs could take turns caretaking it in exchange for fee free tables and chairs. ← SM Wright a Complete Street?